Before we built a new home, I’d never heard of mini splits. What could they be, some kind of tiny frozen dessert or something? No. 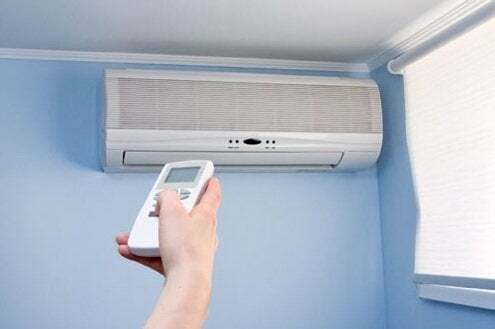 Mini splits are actually ductless heating-and-cooling systems. They look something akin to what you’ve probably seen in hotel rooms, though residential models these days are smaller and more streamlined. 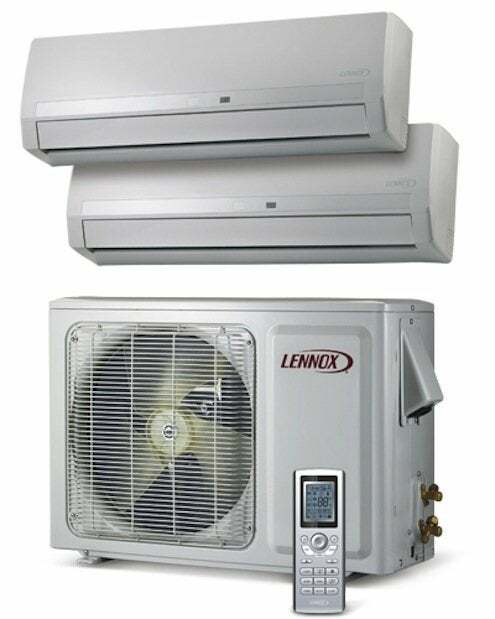 A mini-split system has two components: an indoor air-handling unit (or units) and an outdoor condenser. The components are connected by a conduit, and no ducts are involved. Mini-split technology has been around for 30 years, and it’s used a lot in Europe and Japan. Like a refrigerator, a heat pump uses electricity to pump refrigerant, transferring heat from one place to another. When that heat is being transferred from the outdoors to the inside of a house, that’s the heating mode. 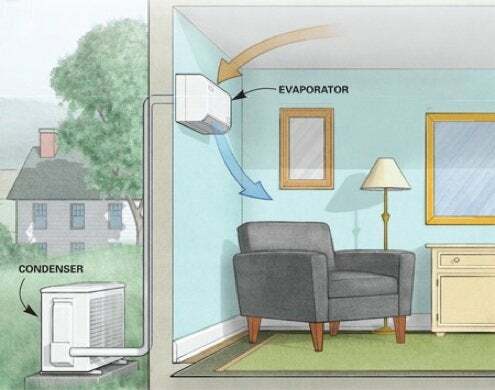 When heat is being transferred from the inside of a house to the outdoors, that’s the air-conditioning mode. So mini splits can offer both heating and cooling in one. They are generally designed to cool and heat a single room or zone, and there may be up to four indoor handling units hooked up to a single outside condenser. • A home that has no ductwork, like one that has previously had radiant or electric baseboard heat. One outdoor condenser can operate up to four indoor air handlers, so you could individually control four rooms/zones with a single mini-split system. • Rooms that are not regularly occupied. You can turn off the mini-split system and close the door to save money. • Additions or outbuildings where extending or installing ductwork is not feasible. • Spaces that are adjacent to unconditioned spaces (like garages, attics, and unfinished basements) where ductwork would be exposed to harsher temperatures. We have our mini-split system in the bonus room over our garage. The garage is unconditioned, so running ductwork through that space would be a big energy loss liability for our HVAC system—a waste of money. We use that bonus room as a guest room, and it is unoccupied much of the time. We can close the door when no one is there, and that’s 400 square feet we’re not paying to heat or cool. Mini splits have no ducts and therefore can avoid the energy loss (up to 20% or 30%) that comes with forced-air systems running through ductwork. Mini splits can be hung on the wall or a ceiling, and some even come as freestanding units. I’m not going to lie. The mini-split system at our house is not cute. I don’t care for the way it looks. But it is quiet and it does keep the room remarkably comfortable. And I love that we’re not paying to heat or cool a room we don’t regularly use.